Flower Camping de Mars es un camping en Cordelle, Loira. Este camping en terrazas tiene plazas con cercos, con sombra y parcelas con algo de sombra. Cabe alquilar tiendas de campaña, caravanas fijas y bungalós. El camping dispone de parque de recreo y de terreno de deportes. Este inspector visita cada año al Flower Camping de Mars y lo inspecciona considerando más de 200 servicios y otros aspectos importantes. El inspector es un trabajador de ACSI y no trabaja para el camping. Gustó - We have been camping in france for several years and stayed in many sites. This is first one we have stayed at since having a baby and it was a lovely experience. It was quiet very friendly land had loads of space. A really lovely site. Gustó - Everything. Fantastic location, great chalet, Céline and Fabrice were lovely, helpful and friendly. Couldn't ask for more. No gustó - Nothing to dislike. Gustó - Great pitches, privacy provided by hedges. Good amenities-a site bar and shop next to the reception, perfect after a long day driving to enjoy a beer and the view across the pool. No gustó - The shower and washing facilities could have been cleaner, towards the end of my stay I noticed a brown stain above the peg in the shower cubicle and this was not cleaned during the remainder of my stay. Gustó - very relaxing and quiet place to sit and watch the world go by. good pool to cool off. ¿Desea reservar u obtener más información sobre su camping Flower Camping de Mars? Puede hacerlo mediante los datos siguientes o a través de la web del camping. Desde Roanne (N7) en Le Coteau la D43 y la D56 dir. Comelle-Verney, Cordelle y a cont. dir. Château de la Roche. A 5 km después de Cordell está el camping a mano dcha. 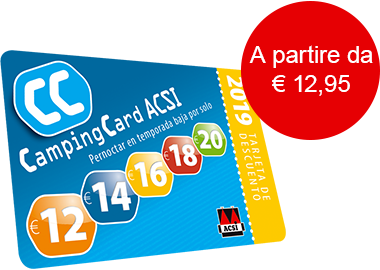 ACSI Eurocampings reenvía su solicitud de información al "Flower Camping de Mars".